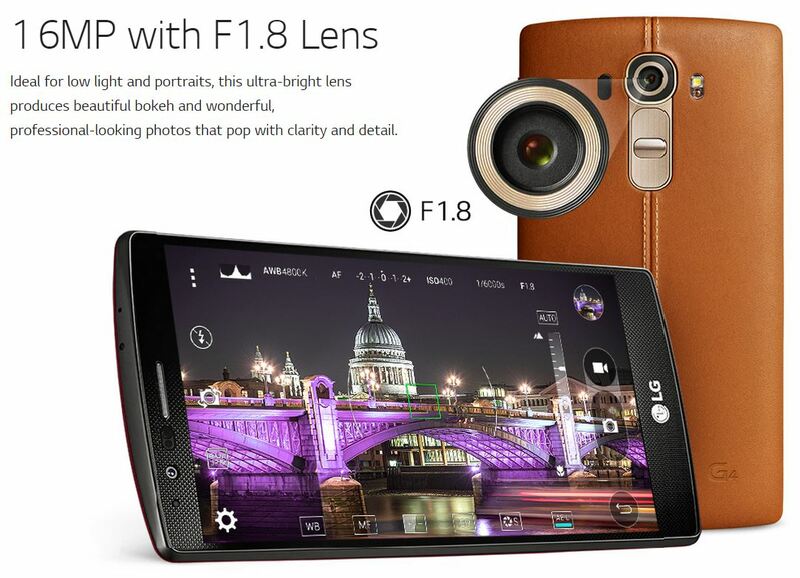 Following a number of recent leaks, there were few surprises left for today’s unveiling of the new LG G4. So what’s new? The first thing you’ll notice is the new (optional) “premium” genuine leather casing which will no doubt be a divisive issue and is reminiscent of the faux leather effect on the Samsung Galaxy Note 3. It’s certainly an interesting look. The G4 features a QHD display (1440×2560) that uses LG’s new “Quantum IPS” technology which they claim boosts colour reproduction by 20%, brightness by 25% and contrast by 50%. So the same resolution, but hopefully a nicer looking display. The megapixel count has been increased on both the back and front cameras (up from 13 to 16MP and 2.1 to 8MP respectively). 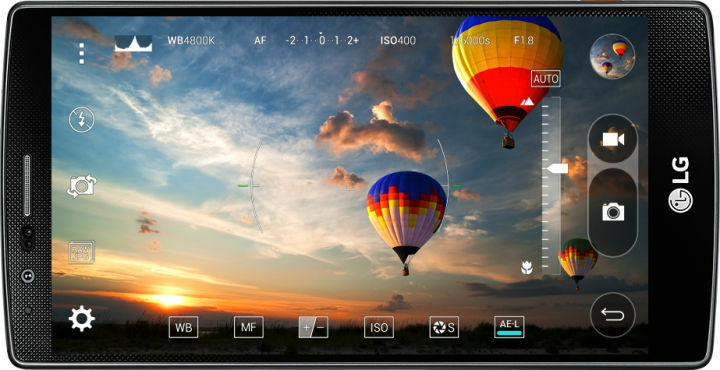 Although a number of high-end smartphones are equipped with Optical Image Stabilisation (OIS), LG claims the G4 features the best example of this technology on a smartphone thanks to the addition of a Z axis to the G3’s Y and Z stabilisation. Under the hood is a new Snapdragon 808 processor and 3GB of RAM (upgraded from the Snapdragon 801 and 2GB on most variants of the G3) which, combined with Android 5.1 and LG’s new UX 4.0 software – should ensure the G4 is fast, responsive and a pleasure to use. The UX 4.0 software that sits on top of Android has a few nifty new tricks up its sleeve including a double-click of the famous rear button now opens the camera app (in 0.6 seconds, apparently), the ability to capture footage in the RAW format and an improved notification menu. 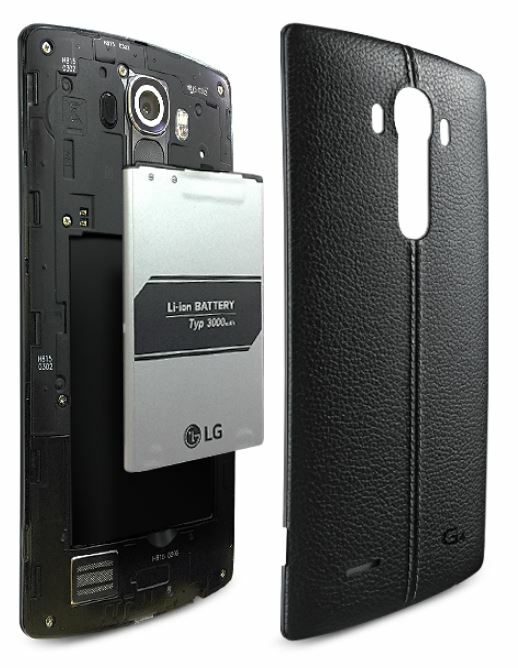 LG may attract former Samsung customers thanks to the inclusion of a Micro-SD port for expandable memory (in addition to 32GB of internal storage) as well as the 3,000mAH removable battery – two features absent on the latest Galaxy devices. The G4 is due to release on May 28th and in the UK pre-orders from Unlocked-Mobiles.com have opened with prices starting from £499.86 for a (arguably better looking) metallic grey or gold model and rises to £529.37 for a black leather model. For more of the latest tech news and reviews follow me on twitter @thetechchap and subscribe to my YouTube channel!